Has the idea of converting the loft into a home office gone through your mind several times? Well, it is a very clever way to go, especially when you find yourself working at home a lot. However, there are some specific things a home office should adhere to. Otherwise, it won’t be a productive environment for example how are your office furniture? 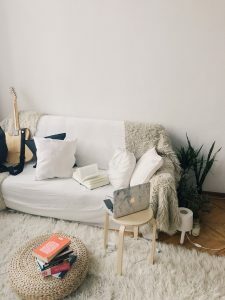 If you want to ensure your loft transformation into a home office project is one that will serve you well into the future, it is best to approach professional contractors and vendors. In addition to wanting a safe and sturdy place to work from, you want to do it within a reasonable budget. Plus, you want your home office to create a productive environment and ergonomic chairs with well organised furniture. So, why should you use professionals for the conversion instead of doing it yourself? When you don’t have experience with loft conversions, there is a significant learning process involved. Seeing as it requires proper planning and assessments, it saves a lot of time when you call on the skills of an experienced contractor. It should also be noted that a professional can aid with executing the conversion at the best possible price. These are people who work with these projects every day, and they have many contacts they can utilize. They also have the experience and can see how the eaves can be transformed into a bespoke custom made bookshelf or other piece of furniture to get the most out of your office. Unfortunately, you can just pick up a hammer and a nail and start the conversion. For example, a proper layout needs to be established. Do you need extra windows? And what about how you want to decorate the home office after the conversion is finished? It is recommended to have everything planned ahead of time before any physical work starts. There might be rules and regulations you need to stick to when converting the loft, but a professional contractor will be aware of these. It is their job to stay up to date with local laws related to this specific project. really worth? You also run the risk of making costly mistakes, which only cause more frustration. What about lifting all the office furniture to the top floor? If they are used office furniture you may be okey if they get scratched but what about new office furniture? At the end of the day, using a professional for your loft conversion home office project makes the most sense. Building and renovation projects can be quite a challenge to get done successfully and within the set budget. In most cases, clients usually find it difficult to coordinate the many contractors that are needed to work together to bring the project into fruition. The Design and build London methodology was introduced as a way of making it easier for clients to manage construction projects conveniently. In this methodology, the builder is also the designer, meaning that all major players in the project seat on one table, working to complete the project within the stipulated time and budget. Read on below to find out more about the design build process. The first step in the design and build process is choosing the right design builder to handle the entire project. Clients need to ensure that they use a competitive bidding process when it comes to choosing the design builder. This is meant to make sure that they get the desired results from the project. Carefully assess your options by looking for specialists with the necessary qualifications, expertise and experience in relation to the project at hand. It is recommended that you avoid making decisions from a pricing point only, as this might mean ignoring important factors that will ultimately affect the quality of the final project outcome. Once you have chosen a qualified design builder, you can then sit down with them and start discussing the project. At this early stage, both parties, the design builder and client, will need to get on the same page as far as the project description and requirements go. You as the client will have to comprehensively describe the project and outline the intended goals. The design builder staff will be on hand to assess the requirements of the project, whether it is a renovation or new construction. Once the design and build London specialist has a clear understanding of the client’s vision, the design stage can begin. Since the design builder understands the project delivery requirements, including time and budget constraints, they are in a position to create a functional design that satisfies your needs while staying within the set limits. 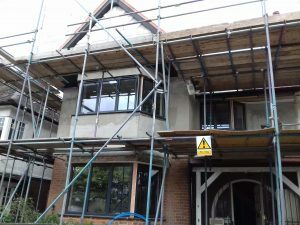 Once the design is finalised, the design builder can then get on with the construction process. One of the main benefits of the design and build London methodology is that the preparation work for the construction job can start as the design stage continues because you do not need to take bids for the construction job; the builder is already in place. The last stage in the design build process is post construction. In this stage, the design builder hands over the completed building project to the client. A detailed walk-through of the building is important to help clients assess whether their requirements and goals have been met. Additionally, the builder hands over any documents relevant to the project. The design and build construction methodology was created to allow for the faster and cheaper completion of construction projects. The process described above comprehensively explains how this is actually done. Are you building a brand new home? If you are, you might want to start working with an interior designer before construction begins. While interior designers can help you to decorate a home that has already been built, they can also help you with the build of a home. If you have hired an architect to design your new home, the interior designer will be able to work alongside them. They can work with mechanical engineers as well. They will be able to help them develop interior spaces that will function the way you want them to. You can put together a team that will work to create the kind of house you’ve always wanted. Instead of having all of these people work individually, you can have them work as a team. You want to make sure the living room in your new home is the perfect size. You want it to comfortably fit all of your furniture, but you also want to make sure you don’t have a lot of wasted space. When an interior designer is part of the pre-building process, you’ll be able to build a home specifically to your needs. 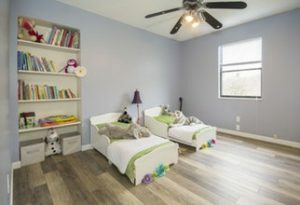 Every room will be exactly the right size, and you will have a space that is perfectly suited to your needs. Your home doesn’t need to be constructed in order for an interior designer to get ideas. They know how to read blueprints, and they will have a lot of feedback regarding your home’s design even if it hasn’t been built yet. Once your home has been constructed, making changes will be difficult and expensive. If your home hasn’t been built yet, however, the only thing that you will have to do is make a few quick adjustments to your blueprints. You shouldn’t wait too long to bring your interior designer on board. If you make them a part of the process from the very beginning, it will be a lot easier for you to get what you want. When an architect works on your home, they are going to be focused on creating a great design. 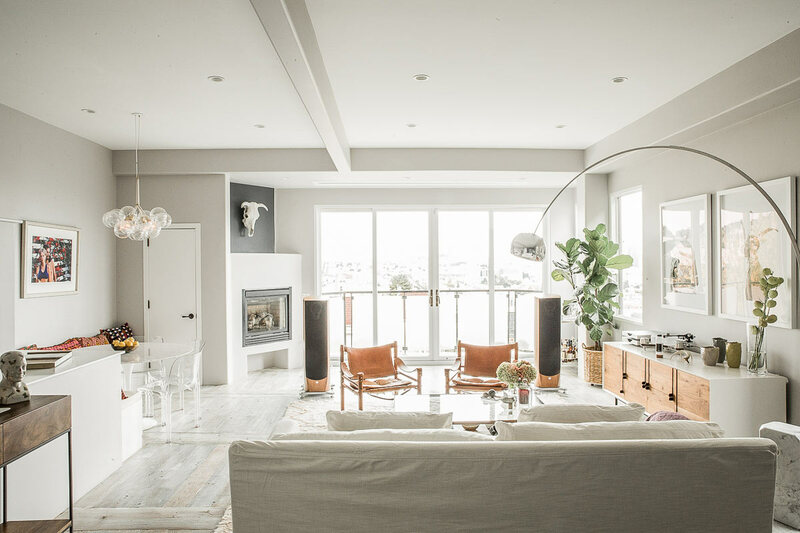 However, they aren’t going to be focusing on the furniture that will go in your home; they are just going to be thinking about the property itself. Because interior designers deal with furniture and home decor, they are going to be able to think of things that other people would never come up with. Working with a designer will give you a much better chance of winding up with the perfect home. Building a new home can be an incredible opportunity. When you build your property from the ground up, you don’t have to make any compromises. However, it can be hard to build the perfect home. If you have an interior designer helping you, you’ll be a lot happier with the home that you design and build. Do you wish your home looked like the kind of homes you see on TV, or in the pages of magazines? If you do, you probably wish you had an unlimited decorating budget. Instead of buying brand new furniture, give your room a fresh new look buy buying accent pieces. You can freshen up an old couch with a blanket or some throw pillows. You can cover up a scratched floor with a nice area rug. You don’t need to start over from scratch in order to make your room look great. You should be able to do a lot with the space that you already have. Clutter is one of the biggest things that can keep a room from looking great. 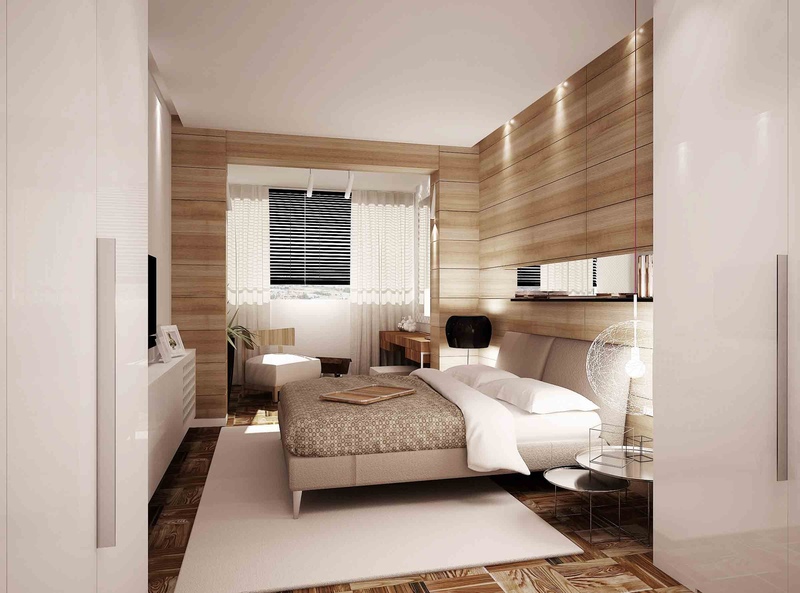 If your room is sloppy, then you won’t be able to enjoy or appreciate your great design. How can you cut back on clutter? To start, you should make sure that you have a place for every item in your house. If papers are piling up, you might need a new way to organize them. You should also make sure you’re getting rid of things that you don’t need. A few times a year, you should go through your items and donate the things that you no longer need. If your budget is limited, you should try to spend the money you do have on a single investment piece. This can be the focal point of your room. If you invest in a statement piece, you’ll be able to make every piece of furniture in your home look more upscale. Pick a piece that you’ll be able to get a lot of use out of, like a sofa or an entertainment center. A high-quality piece will really stand out! You shouldn’t play it safe when you are decorating your room. It’s okay to be bold and express your personal style! When someone walks into your home, they should be able to get a real sense of your personality. People that visit your home will be impressed with what they see. You don’t need to go for a neutral, magazine-friendly look in your own home. You can do anything that you want to do. If you choose pieces that make you happy, you will feel great whenever you see your home. If your budget is very tight, you are going to want to make sure you spend your money wisely. Thankfully, these interior design tips will allow you to accomplish a lot with the things that you already have. Don’t do everything at once; work to improve your home over time. Eventually, you’ll have something that you’ll love.